My girlfriends and I organised a quick trip to Singapore. We had a very simple plan. We wanted to eat local food, try new cafes and trendy bars, get manicures, have high tea, go to little fashion boutiques and independent specialty stores, and do a bit of shopping. Basically, we wanted to enjoy 4 days of doing girly stuff, without husbands or kids! It has been so incredibly rare for us to have this kind of lengthy girl time together… so during our whole trip, we were constantly pinching ourselves and lapping up our relaxing, kid-free schedule. Yet at the same time – hilariously – we were missing our little babies so much! 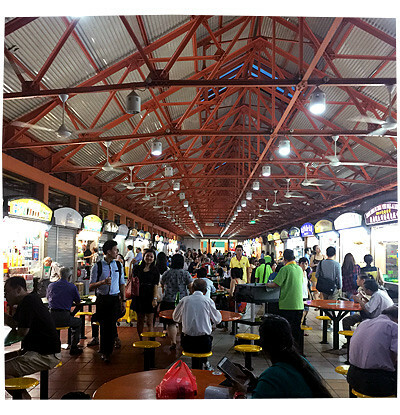 We landed in Singapore in the evening and head straight to the Maxwell Food Centre. I used to work in Singapore (in my early 20s) and I used to come to this food centre every day. The food was soooooo good and soooooo cheap. 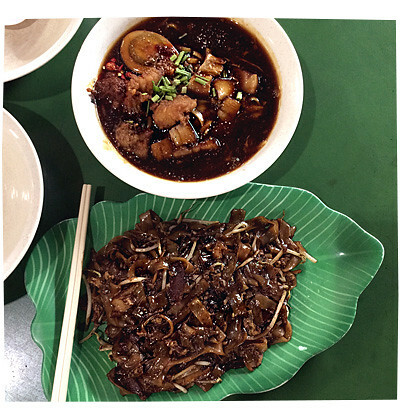 My absolute favourite dish was the Char Kway Teow (the fried flat noodles on the banana leaf plate). I used to eat it twice a week! Of course I couldn’t find the same stall or the same Chinese uncle who used to cook my noodles, so I bought a plate from another stall. It was OK. It was a bit sweet. It did not make my toes curl with delight. My friend had the Lor Mee (yellow noodles with gravy) which was pretty good. 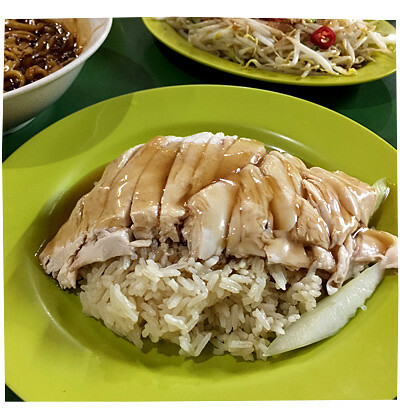 My other girlfriend waited in a ridiculously long queue for Singapore’s famous Tian Tian Hiananese Chicken Rice, which apparently has been endorsed by countless international celebrity chefs. I was rather skeptical about all the hype… until I took a mouthful! WHOA, it was freaking amazing! The chicken was so silky soft and tasty, the rice was so fragrant and the sauce was absolutely delicious. But I think what made it even better was that it was $4!! It was definitely the winning dish of the night. After all that eating, we needed a bit of a WALK before we even contemplated having drinks at a bar. 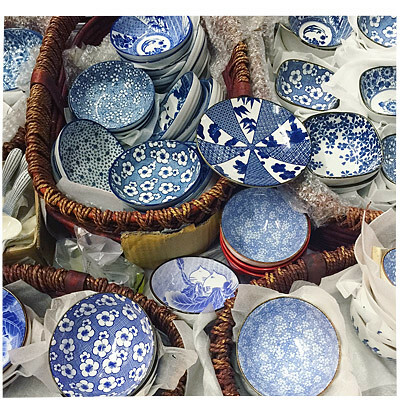 We headed over to Chinatown, and took a stroll through the outdoor markets on Sago Street, where I spied these pretty ceramic bowls. 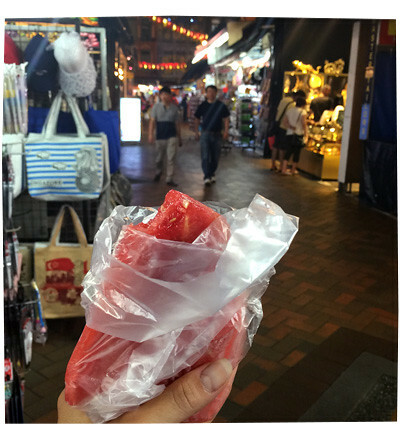 I bought a wedge of fresh watermelon in a bag (for $1) as we walked through the markets. Reminded me of my childhood! We also walked along Smith Street, Temple Street and Pagoda Street and saw some temples (including the Sri Mariamman Temple). It was all very close to each other, and the weather that evening was just lovely for a stroll. 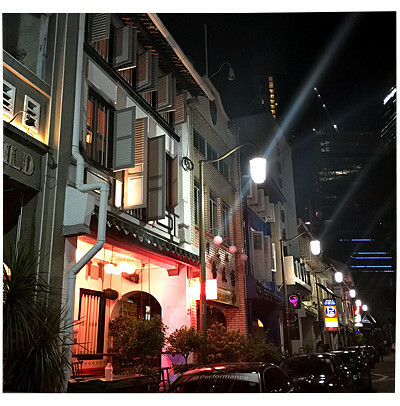 We walked over to Ann Siang Road, where there were lots of restaurants and bars. We ended up on Club Street for drinks. 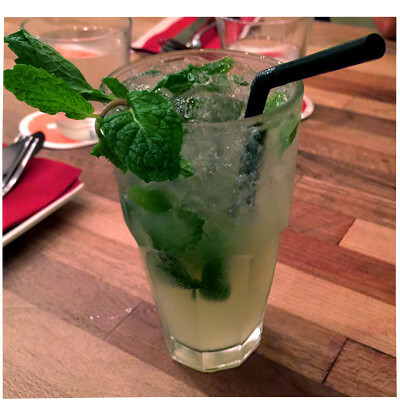 I was actually dying for a coffee, but I had a mocktail instead haha! I had been up since 4am (to catch a plane) so I was really tired and ready for bed.